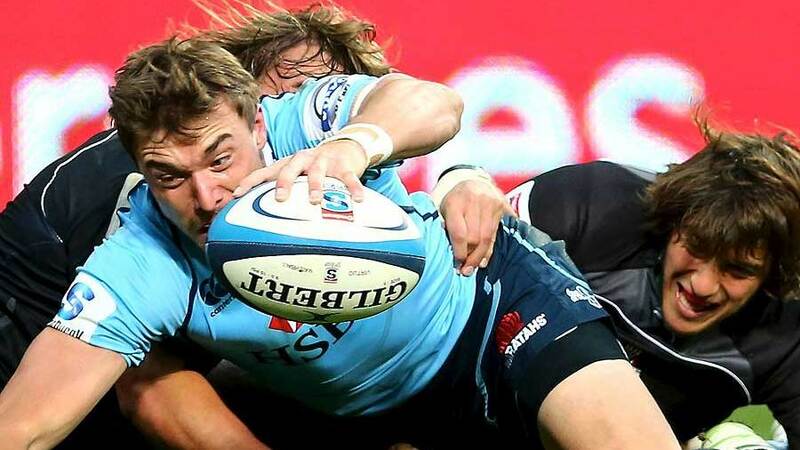 The Melbourne Rebels have signed NSW Waratahs winger Cam Crawford for the 2015 and 2016 Super Rugby seasons. The 25-year-old had his Super Rugby debut in 2012 after suffering several injury set-backs. Originally signed with the Brumbies, Crawford featured in one Super Rugby game and also faced the Wales touring side before moving back to Sydney in 2013. On his return to Sydney Crawford signed with the Waratahs side that saw him score a phenomenal eight tries in seven appearances, and added another four appearances so far in 2014. Rebels head coach Tony McGahan said he was pleased with the signing as he had pursued Crawford for quite some time. "We have certainly done our homework on Cam, and have been tracking him for well over twelve months," McGahan said. "We recognise what a good player he is, and he was recognised by the Wallaby selectors last year; he would have been involved in some capacity if he didn't get injured. We talked to a lot of his past coaches and kept coming back to the decision that he would be a great addition to our back three, whether that is at wing or fullback." The Rebels also signed rising fullback Jonah Placid earlier this week in a bid to replace gun Kiwi Jason Woodward.